Promo 1: Emirates New Deals! Promo 2: Etihad Companion Special Offer! Promo 3: Malaysia Airlines Business Class Promo! Promo 4: Korean Air Special Fares! 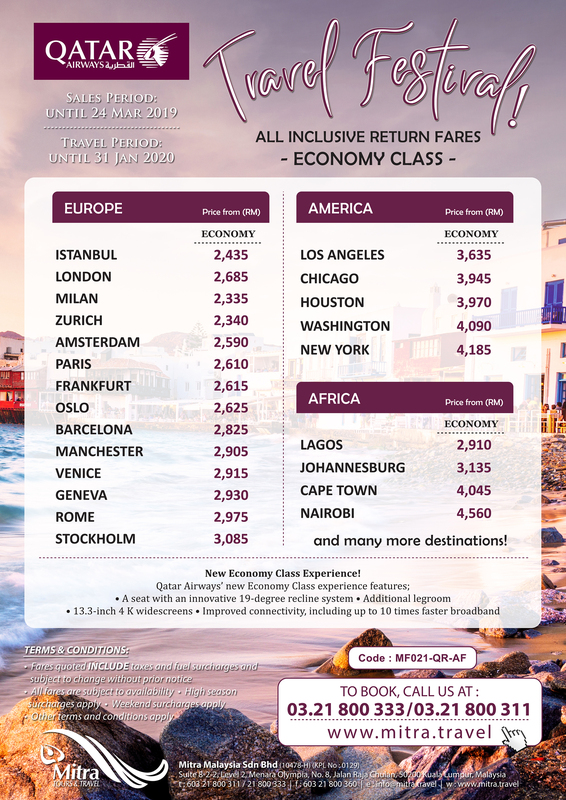 Promo 5: Qatar Airways Travel Festival! Promo 6: Turkish Airlines Promotional Sale!